CG Vyapam Result 2019: Below are the latest results published by CG Vyapam - CG Vyapam: Chhattisgarh Professional Examination Board (CGPEB) / cgvyapam.cgstate.gov.in. The recent result announced by the organization is DEO Result 2019. CG Vyapam DEO Result 2019: CG Vyapam: Chhattisgarh Professional Examination Board (CGPEB) has announced the Result on 16 Apr 2019 for CG Vyapam DEO Exam 2019 . CG Vyapam HCLB 2018 Result 2019: CG Vyapam: Chhattisgarh Professional Examination Board (CGPEB) has announced the Result on 09 Apr 2019 for CG Vyapam HCLB 2018 Exam . CG Vyapam HCRP 2018 Result 2019: CG Vyapam: Chhattisgarh Professional Examination Board (CGPEB) has announced the Result on 09 Apr 2019 for CG Vyapam HCRP 2018 Exam . CG Vyapam Sub Engineer Result 2019: CG Vyapam: Chhattisgarh Professional Examination Board (CGPEB) has announced the Result on 09 Mar 2019 for CG Vyapam Sub Engineer Exam 2018 . CG Vyapam BAMS/ BHMS/ BUMS/ BNYS 2017 Result 2019: CG Vyapam: Chhattisgarh Professional Examination Board (CGPEB) has announced the Result on 09 Mar 2019 for CG Vyapam BAMS/ BHMS/ BUMS/ BNYS 2017 Exam . 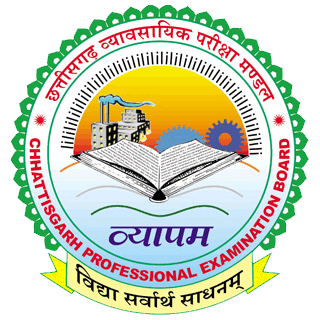 CG Vyapam MCLP18, MCAS18, MCOT18, MCTE18 Result 2019: CG Vyapam: Chhattisgarh Professional Examination Board (CGPEB) has announced the Result on 27 Feb 2019 for the exam . CG Vyapam Information Astt. Grade - I & Grade - II 2018 Result 2019: CG Vyapam: Chhattisgarh Professional Examination Board (CGPEB) has announced the Result on 21 Feb 2019 for CG Vyapam Information Astt. Grade - I & Grade - II Exam 2018 . CG Vyapam DEO & Assistant Grade III Result 2019 (DEAG18): CG Vyapam: Chhattisgarh Professional Examination Board (CGPEB) has announced the Result on 20 Feb 2019 for DEO & Assistant Grade III Examination 2018 . CG Vyapam SGST18 Result 2019: CG Vyapam: Chhattisgarh Professional Examination Board (CGPEB) has announced the Result on 06 Feb 2019 for the exam . CG Vyapam Assistant Grade III, DEO/ CO Result 2019 (AGDO): CG Vyapam: Chhattisgarh Professional Examination Board (CGPEB) has announced the Result on 04 Feb 2019 for CG Vyapam Assistant Grade III, DEO/ CO Exam 2019 (AGDO) . CG Vyapam SAAF 2018 Result 2019: CG Vyapam: Chhattisgarh Professional Examination Board (CGPEB) has announced the Result on 01 Feb 2019 for the exam . CG Vyapam CAP18 Result 2019: CG Vyapam: Chhattisgarh Professional Examination Board (CGPEB) has announced the Result on 29 Jan 2019 for the exam . CG Vyapam RBOS 2016 (Stenotypist Hindi) Result 2019: CG Vyapam: Chhattisgarh Professional Examination Board (CGPEB) has announced the Result on 14 Jan 2019 for CG Vyapam RBOS 2016 (Stenotypist Hindi) Exam 2016 . CG Vyapam CROS 2017 (Stenographer Hindi) Result 2019: CG Vyapam: Chhattisgarh Professional Examination Board (CGPEB) has announced the Result on 08 Jan 2019 for CG Vyapam CROS 2017 (Stenographer Hindi) Exam . CG Vyapam CROS 2017 (Stenotypist) Result 2019: CG Vyapam: Chhattisgarh Professional Examination Board (CGPEB) has announced the Result on 08 Jan 2019 for CG Vyapam CROS 2017 (Stenotypist) Exam . CG Vyapam ETOS17 Final Result 2019: CG Vyapam: Chhattisgarh Professional Examination Board (CGPEB) has announced the Result on 07 Jan 2019 for CG Vyapam ETOS17 Final Exam 2018 . CG Vyapam LOI Exam 2018 Final Result, Answer Key & Top 10: CG Vyapam: Chhattisgarh Professional Examination Board (CGPEB) has announced the Result on 21 Dec 2018 for CG-VYAPAM LOI Exam 2018 . CG Vyapam HSSN Result 2018: CG Vyapam: Chhattisgarh Professional Examination Board (CGPEB) has announced the Result on 06 Oct 2018 for HSSN Exam 2018 . CG Vyapam BAMS 2017 Result 2018: CG Vyapam: Chhattisgarh Professional Examination Board (CGPEB) has announced the Result on 04 Oct 2018 for the exam . CG Vyapam Post Basic Nursing (PBN) Result 2018: CG Vyapam: Chhattisgarh Professional Examination Board (CGPEB) has announced the Result on 13 Aug 2018 for Post Basic Nursing (PBN) Entrance Examination 2018 .